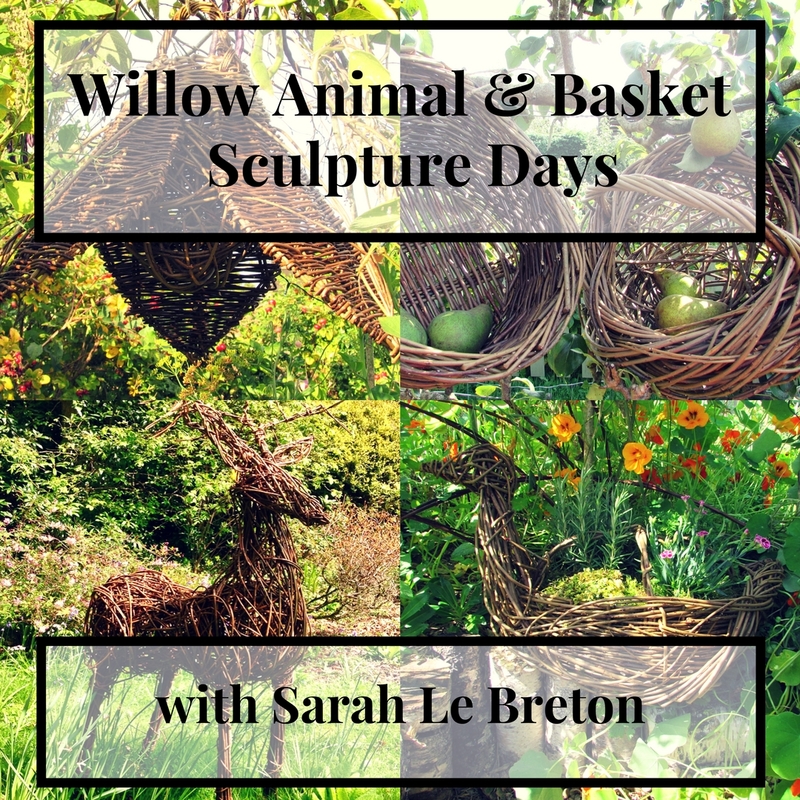 Due to the popularity of my courses and the recent brilliant pre-Christmas publicity that I have received, I am now offering a gift voucher service for my Willow Animal & Basket Sculpture Days. For more info and to obtain a gift voucher please check out the details on my Courses page, click on the ‘Make a Booking Enquiry’ tab and let me know how many places you require. On receipt of your payment I will send you a personalised gift card for your lucky recipient/s. Gift vouchers will be valid for 2 years from date of issue. For full t&c’s please check out my website Terms & Conditions page.